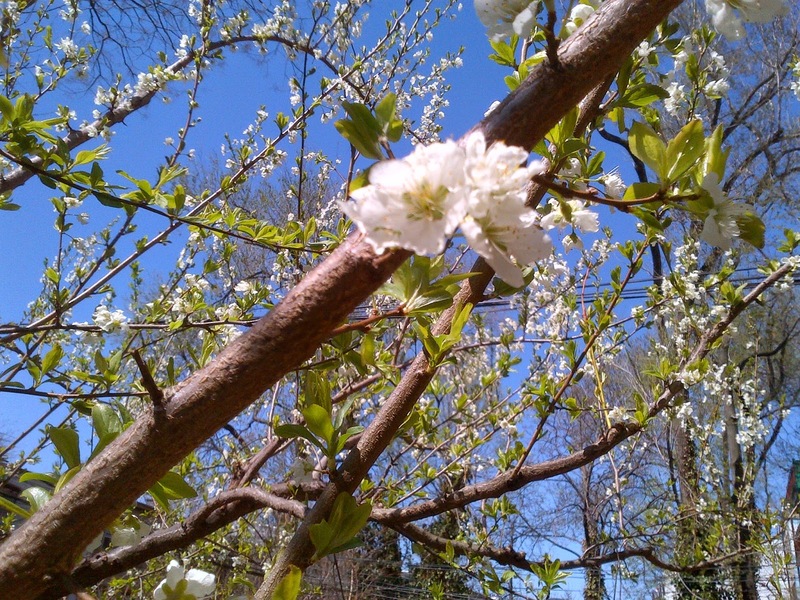 Spring is here, despite the recent dip in temperature. This is when Brooklyn shed’s her winter coat and dons her colorful apparel. Behind the urban facades, Brooklyn harbors so many secret garden’s. For the past years I have had the privilege of shaping and maintaining my friend Judy’s backyard hide-away. The jewel in this crown are two fill-size 25' tall plums trees that I pruned into a diminutive shape that is worthy of the Unicorn Tapestries. 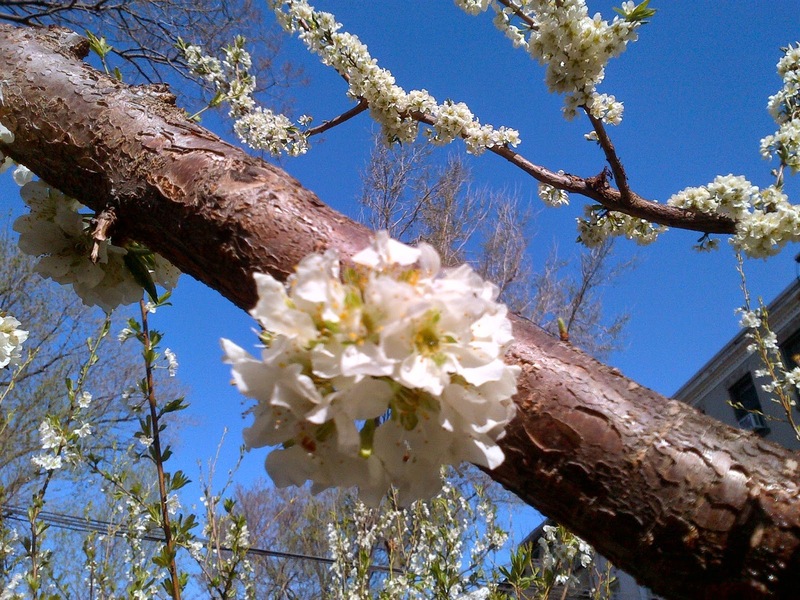 Freezing weather will not stop these plum trees from baring it all and showing off their floral finery. I took the crepe myrtle down in size so that it wouldn't upstage these two plum-perfect beauties. 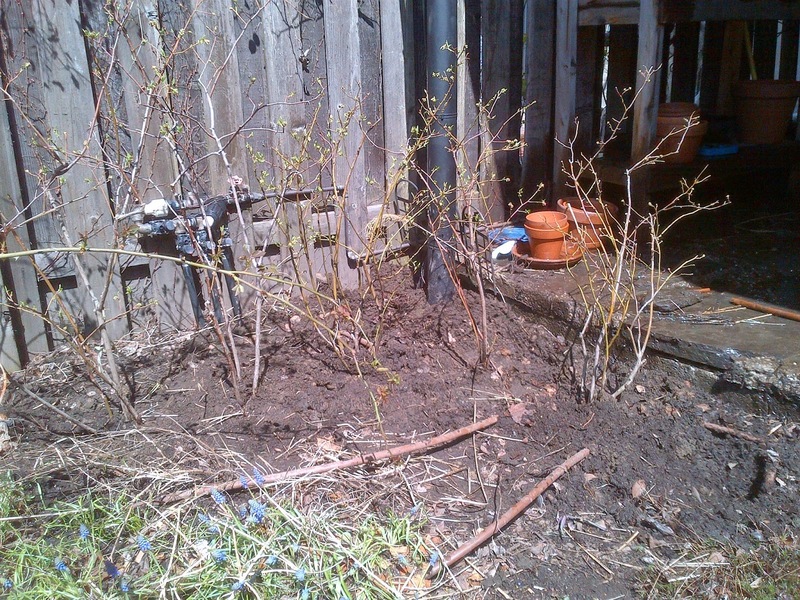 Six blueberry bushes stand where tall Pampas grass once ruled. 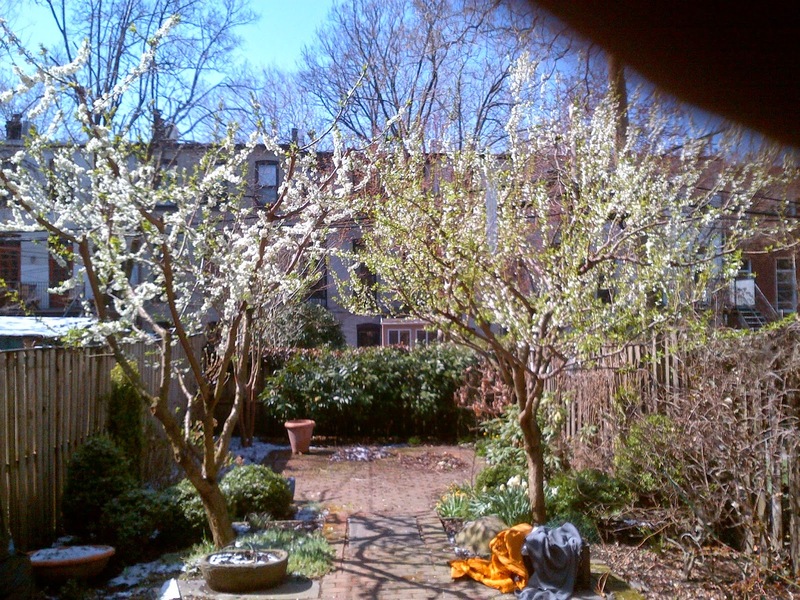 It took three years of branch and roots pruning to turn two tall plum trees into elegant dwarfs.